Chinese young engineering student Jiachun “Max” Zhu has been granted a life-changing opportunity of working at the Renault Sport F1 Team in the UK after winning the 2018 Infiniti Engineering Academy China Final. 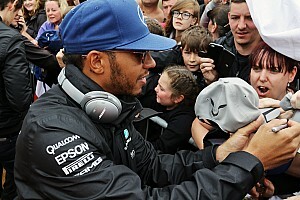 The 24-year-old Chinese, who studied mechanical engineering at University of Arkansas in the USA, will head to the French manufacturer’s Enstone base in the UK to work with skilled and experienced F1 engineers, in addition to another six-month work experience at Infiniti’s Technical Centre Europe in Cranfield. “It’s so surreal that I never expected to win the competition. 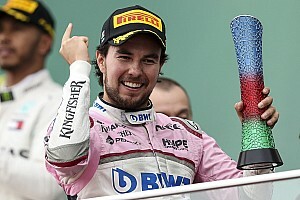 To be honest, I already felt lucky reaching the Final,” said Zhu, who happens to be a good friend of Sally Li, the winner of the 2016 Chinese final and who contributed to Nico Hulkenberg’s sixth place finish in 2017 British Grand Prix with the rear wing used on RS27 produced by her. 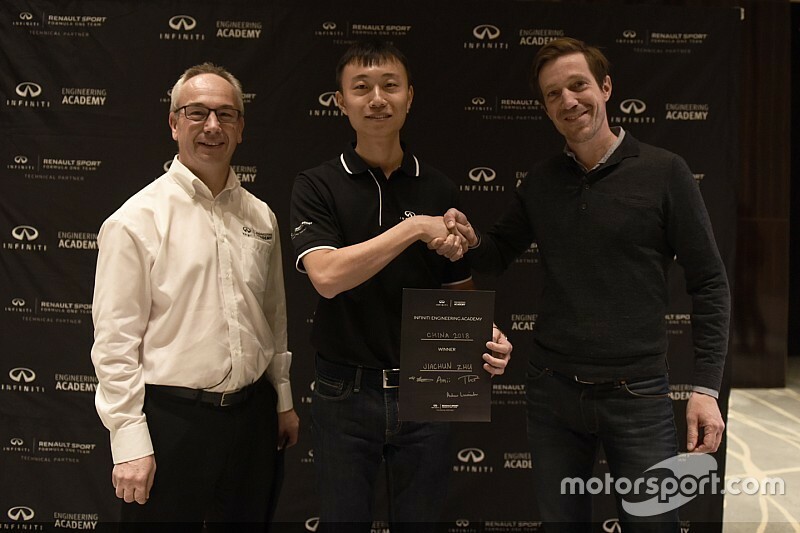 Zhu, who graduated in May, outperformed other nine candidates in the intensive one-day competition, which included engineering examination, interviews and a series of challenges in front of the judges from both Infiniti and Renault Sport F1 Team. During the final in Beijing, the Team Challenge session marked the highlight of the day, when two divided groups – five candidates in each – competed with each other in a mini drag race by finding the best set-up for their dragster models respectively and making the faster car. In the previous task, the two groups had to make a critical decision respectively provided the same scenario to simulate a certain pressure-filled moment in racing, while a media session produced a challenge that they were unable to predict. Launched in 2014, the Infiniti Engineering Academy (IEA) has raised significant attention among engineering students across the world, with seven winners from Europe, US, Canada, Asia-Oceania, Mexico, China and Middle East spending a year with Infiniti and the Renault Sport F1 Team. The last winner of the 2018 IEA edition will be unveiled ahead of Abu Dhabi Grand Prix at Yas Marina Circuit. If you are majoring in engineering and fascinated by the lifetime opportunity to work for an F1 team, then keep a close eye on http://academy.infiniti.com for next year’s application.